Clotted cream, along with the likes of the Cornish chough, engine houses, St Piran’s flag, St Michael’s Mount and long stretches of golden sand, is one of Cornwall’s most iconic symbols and a dollop of Rodda’s (a name surely familiar to almost anyone who knows Cornwall) is as lipsmacking good today as it was over a hundred years ago. 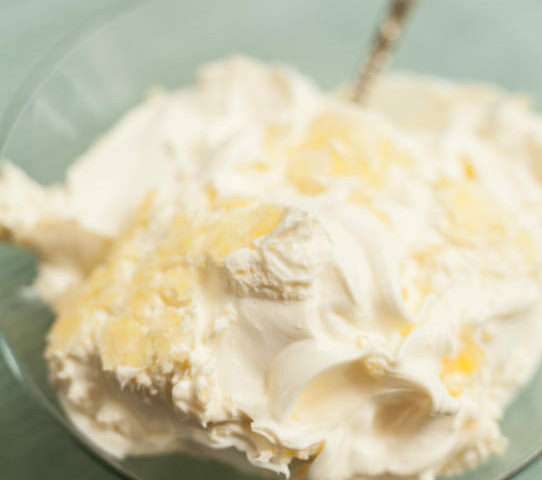 Good old Cornish clotted cream has topped the scones of millions, including VIPs, royalty, and passengers on the last flight of Concorde. Today, it send to a large band of worshippers in places as far flung as Hong Kong, Japan and Dubai, to satisfy their clotted cream cravings. So globally renowned is this Cornish delicacy, it has been granted special protection (PDO – Protected Designation of Origin) by the European Union, in recognition of the distinctive qualities that come from the rich milk of Cornish cows. Extract taken from The Great Cornish Food Book, pg 96 – sold in store.